MINNETONKA, Minn., USA, Feb. 20, 2018 – Deeply rooted in genetics, agronomy and service, Golden Harvest® seeds will be a major beneficiary of Syngenta's incremental $400 million investment over the next five years. The investment will strengthen the diverse Golden Harvest product portfolio, enhance service offerings and further demonstrate its commitment to farmers. This funding is in addition to the $1.3 billion the company already invests in research and development (R&D) annually. Built on a legacy of reliable performance against in-field challenges, Golden Harvest is expanding its strong seed portfolio to help farmers get the most yield out of every field. Golden Harvest will double its seed breeding staff, increase trial testing by one-third and increase new corn chassis by 58 percent, giving farmers an even more differentiated portfolio of hybrids and varieties to choose from. The genetic potential of Golden Harvest corn is protected with the latest Agrisure® traits technology. Agrisure Viptera® is the only trait available today that effectively controls western bean cutworm, which is one of the most destructive pests to corn. No other trait in the industry provides better or more comprehensive above-ground insect control. And for farmers seeking to manage corn rootworm, the Agrisure Duracade® trait offers the latest control technology on the market. Farmers seeking ultimate insect control, simplicity and choice should consider planting Agrisure Duracade 5222 E-Z Refuge®, the most advanced trait stack on the market. Agrisure Duracade 5222 E-Z Refuge combines the Agrisure Duracade and Agrisure Viptera traits to offer premium, broad-spectrum control of 16 yield-limiting pests, with the convenience and simplicity of a 5% in-bag E-Z Refuge. The Golden Harvest portfolio includes Enogen® corn hybrids in select geographies, which feature an in-seed innovation benefiting farmers marketing grain to ethanol plants and those producing grain or silage for livestock feed. A recent expansion of the Enogen footprint resulted in two new agreements with ethanol plants, bringing product marketability to 31 plants. This game-changing technology supports rural communities by keeping enzyme dollars local and helps make ethanol even more sustainable. A deep commitment to genetics, agronomy and service is at the root of Golden Harvest. The additional investment will also boost field support, putting more boots on the ground to help farmers manage their crops throughout the entire growing cycle. Local, independent Golden Harvest Seed Advisors, who offer farmers the combination of advanced genetics, along with tailored agronomic knowledge, will also benefit from enhanced support. For more information on Golden Harvest hybrids and varieties, and to find your local, independent Golden Harvest Seed Advisor, visit GoldenHarvestSeeds.com. To stay connected, follow us on Facebook and Twitter @GldnHarvest. 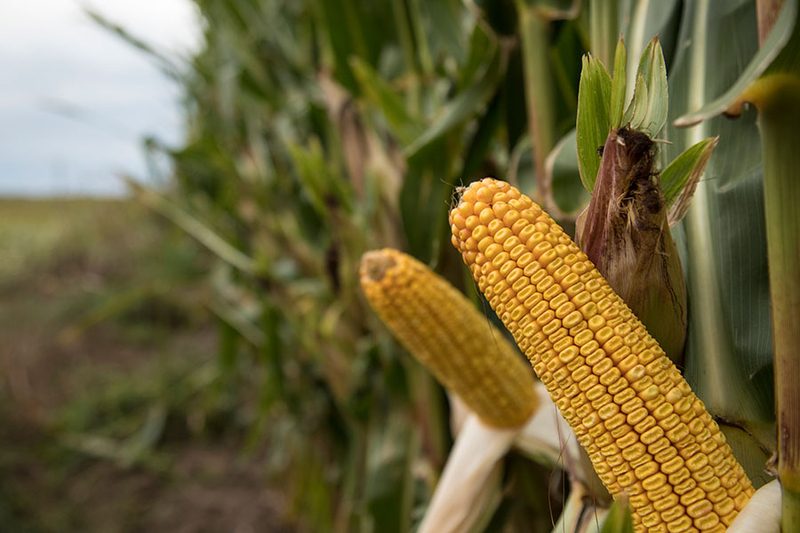 Golden Harvest seeds is investing $400 million over the next five years, providing farmers access to more customized hybrids and varieties in addition to increased field support. ​​​​​​​Golden Harvest Seeds has been Rooted in Genetics, Agronomy and ServiceSM since 1973, offering in-depth seeds expertise combined with the local agronomic know-how of an independent Seed Advisor to maximize yield on each field. Today, every Golden Harvest hybrid and variety is bred with the individual needs of hardworking farmers in mind. Find more information at www.GoldenHarvestSeeds.com. Follow us on Twitter at www.twitter.com/GldnHarvest and like us on Facebook at www.facebook.com/GldnHarvest. Syngenta is a leading agriculture company helping to improve global food security by enabling millions of growers to make better use of available resources. Through world class science and innovative crop solutions, our 28,000 people in over 90 countries are working to transform how crops are grown. We are committed to rescuing land from degradation, enhancing biodiversity and revitalizing rural communities. To learn more visit www.syngenta.com and www.goodgrowthplan.com. Follow us on Twitter at www.twitter.com/Syngenta and www.twitter.com/SyngentaUS. This document contains forward-looking statements, which can be identified by terminology such as ‘expect’, ‘would’, ‘will’, ‘potential’, ‘plans’, ‘prospects’, ‘estimated’, ‘aiming’, ‘on track’ and similar expressions. Such statements may be subject to risks and uncertainties that could cause the actual results to differ materially from these statements. We refer you to Syngenta’s publicly available filings with the U.S. Securities and Exchange Commission for information about these and other risks and uncertainties. Syngenta assumes no obligation to update forward-looking statements to reflect actual results, changed assumptions or other factors. This document does not constitute, or form part of, any offer or invitation to sell or issue, or any solicitation of any offer, to purchase or subscribe for any ordinary shares in Syngenta AG, or Syngenta ADSs, nor shall it form the basis of, or be relied on in connection with, any contract there for. ©2018 Syngenta, 11055 Wayzata Boulevard, Minnetonka, MN 55305. Important: Always read and follow label and bag tag instructions. Golden Harvest® soybean varieties are protected under granted or pending U.S. variety patents and other intellectual property rights, regardless of the trait(s) within the seed. The Roundup Ready 2 Xtend® and LibertyLink® traits may be protected under numerous United States patents. It is unlawful to save Golden Harvest® soybeans. LibertyLink® Soybeans or Roundup Ready 2 Xtend® Soybeans for planting or transfer to others for use as a planting seed. Roundup Ready 2 Xtend® is a trademark used under license from Monsanto Technology LLC. LibertyLink® is a trademark used under license from Bayer. Under federal and local laws, only dicamba-containing herbicides registered for use on dicamba-tolerant varieties may be applied. See product labels for details and tank mix partners. Agrisure®, Agrisure Duracade®, Agrisure Viptera®, Enogen®, E-Z Refuge®, Golden Harvest®, and Rooted in Genetics, Agronomy and ServiceSM are trademarks of a Syngenta Group Company. All other trademarks are property of their respective owners.